Sofia Björkman – necklace – 3D hand-drawings. 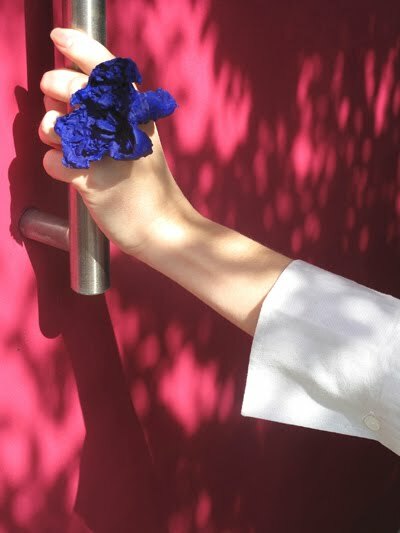 Sofia Björkman – 3D drawing brooches worn ! 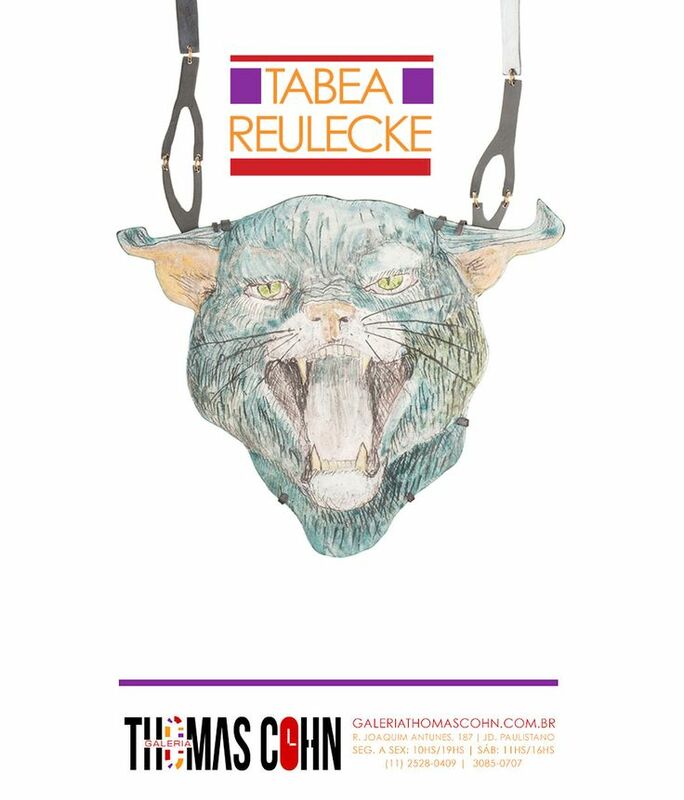 A Galeria Thomas Cohn inaugura em 19 de novembro de 2014, às 19h, a primeira individual da artista alemã Tabea Reulecke no Brasil. A exposição é composta por uma série de criações figurativas em joalheria contemporânea, que inclui 12 colares, e quatro broches. Tabea Reulecke is one of the most relevant artists from the new generation of german jewellers. Born in Berlin (1981), Tabea studied in the University of Applied Sciences in Idar Oberstein and then in the famous Art Academy in Tallin, Estonia and the Sandberg Institute, Amsterdam. Different to most, her subjects are basically figurative. She uses human, sometimes mythological figures and animals and flowers. 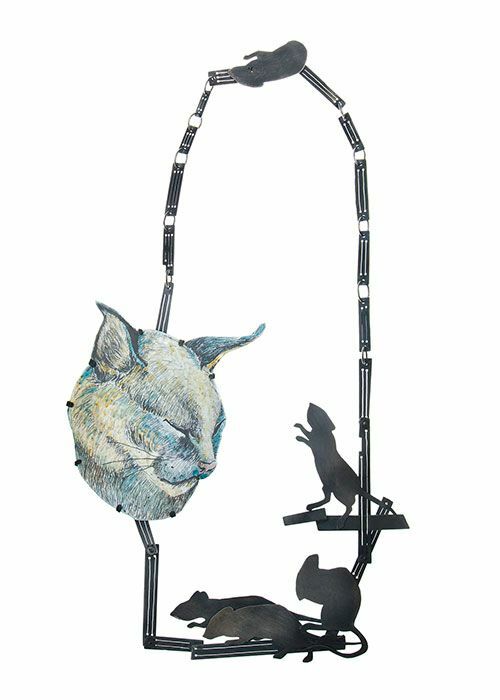 These front images are carefully finished in enamel and the reverse in silver with ironic shadows of mice or deers. Tabea has shown several times in Gallery Marzee and other galleries in Germany, Belgium and Thailand, and lectures in Australia, Belgium, Chile and Thailand. Our exhibition shows twelve necklaces and four brooches of her most recent production. Brazil talks through vegetable, animal and mineral matter, a dialogue between the minds and the hands of the jewellery artists from the first two decades of the XXI century. 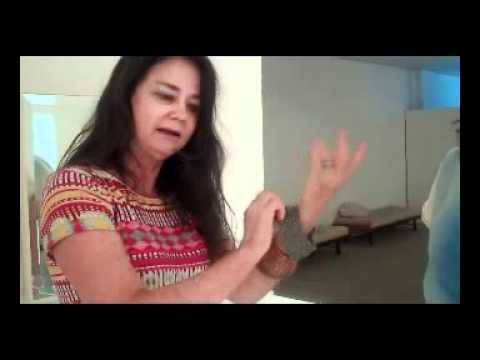 This dialogue shifts from Brazilian artists’ hands to the human body, a symbol of divinity, so as to move away from colonial jewellery and find its own identity. 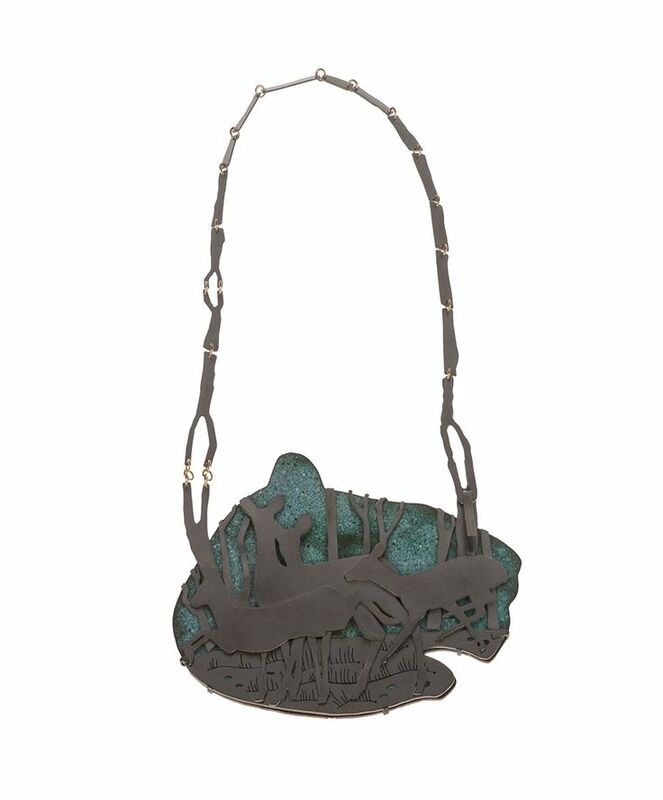 « As a student of the Jewellery Department (Gerrit Rietveld Academie) , I try to gain full understanding of my subject. In order to do that, it is important to go back to the origins. This is also the method I use when approaching a problem. 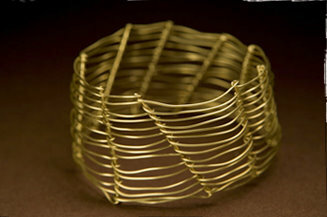 Jewellery is a complex field where on each end someone is trying to push the boundaries of what we consider jewellery. This fact raised the urge in me to find out where jewellery came from in order to understand what it really is. Considering the extensive history of adornment through the ages, it is hard to think of donning jewellery as anything less than a human need. It appears embedded across religions, cultures, rites, and throughout human activity. It is worn as adornment, to show status or belonging, as a memento and so on. In some instances, societal prescriptions about not wearing any jewellery, or restrictions around the type of ornament a person is allowed to wear, tell an equally strong story about the power and impact of jewellery. The drive goes deeper than the individual reasons that a certain country or religion might produce a given ornament. My belief, supported by historical examples and anecdotes, is that the motivation for jewellery making and wearing is actually quite primal and that this creative instinct speaks to our animalistic nature. In exploring these ideas, I also delve into my own desire to be part of this ongoing history and to create wearable pieces. I am interested in things that endure for long periods, that are maintained in our culture without question, and which are established in our lives as axioms.